still 90 here in Florida, and raining. Everything is green and sunny and WARM. Pinterest when it’s hot and humid out. pretty bronze!) 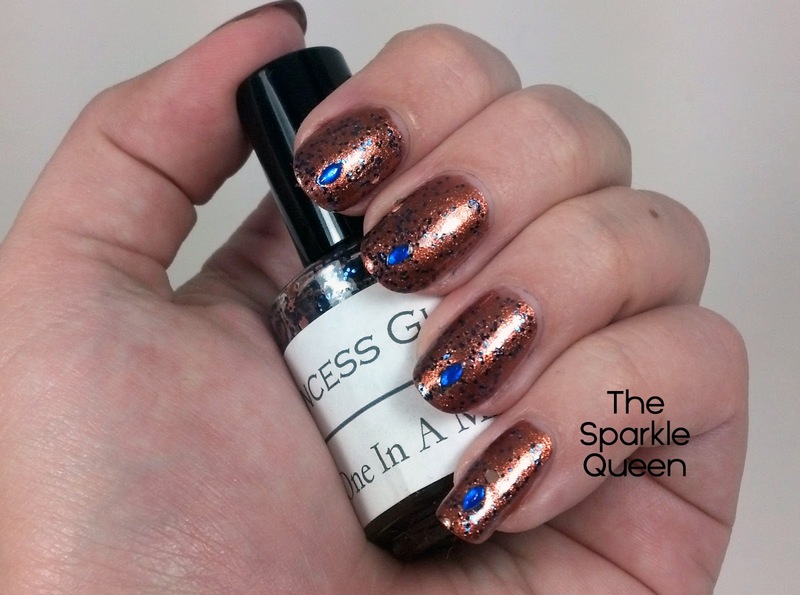 and Princess Glamour – “One in a Million” glitter topcoat. What a pretty bronze that is! Kidding aside, this is really pretty. Love the bronze base and those gems! 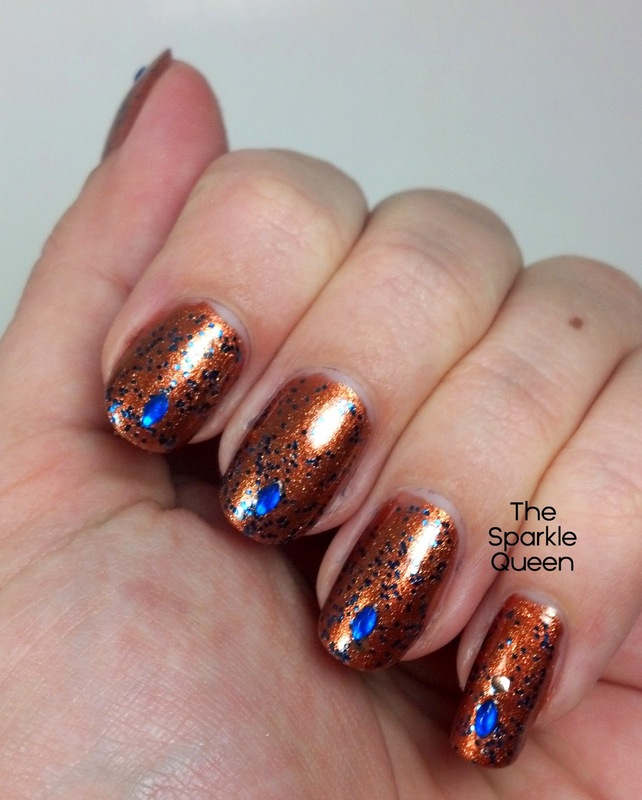 Gorgeous bronze color! Love it paired with the blue! wow your nails look great Alessandra!